The Manor of Rabi was one of the lands belonging to the township of Staindrop which was gifted to the Prior of Durham by King Cnut. The King reigned over England, Denmark and Norway from 1016 to 1035 and it is thought that at the time of the Conquest in 1066, Raby was in the possession of Sigurn, reputedly Cnut’s niece. The Nevills were responsible for building the 14th century castle which still stands today and they continued to live at Raby until 1569. The family were devout Roman Catholics and the 5th Earl had been a steadfast supporter of Mary Tudor holding high office during her reign. His son Charles however, was forced to choose between loyalty to his monarch or to his religion when Mary’s Protestant half-sister Elizabeth was on the throne. He eventually decided to join Thomas Percy in leading the rebellion in support of the Catholic Mary, Queen of Scots, which sealed the fate of the Nevills. 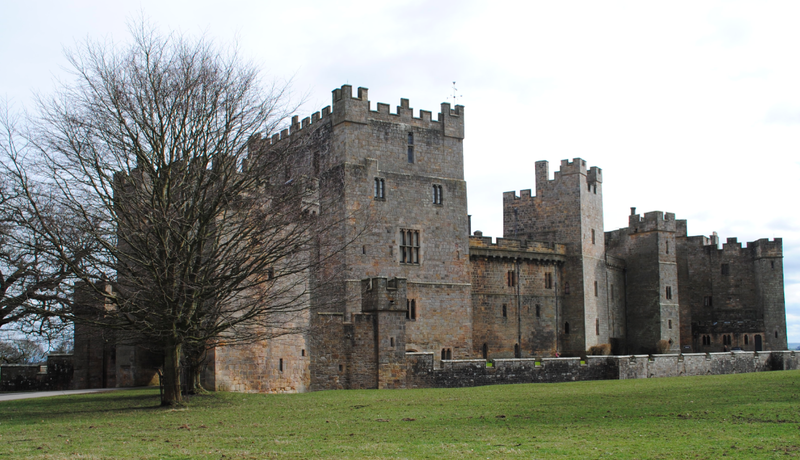 In 1569, 700 knights assembled at Raby Castle to plot their campaign but the ‘Rising of the North’ ultimately foundered and Charles fled to the Netherlands where he died in poverty. After the rebellion failed, the entire estate was forfeited and remained in Crown ownership until 1626 when it was purchased by Sir Henry Vane the Elder who was a Member of Parliament and prominent member of Charles I’s household. The Vanes were originally descended from Hywel ap Fane of Monmouthshire and remain the owners of the castle to this day. The castle towers with curtain wall date to the mid 14th century and probably incorporate earlier buildings. During medieval times, the only entrance to the courtyard of the castle was through the great Neville Gateway. 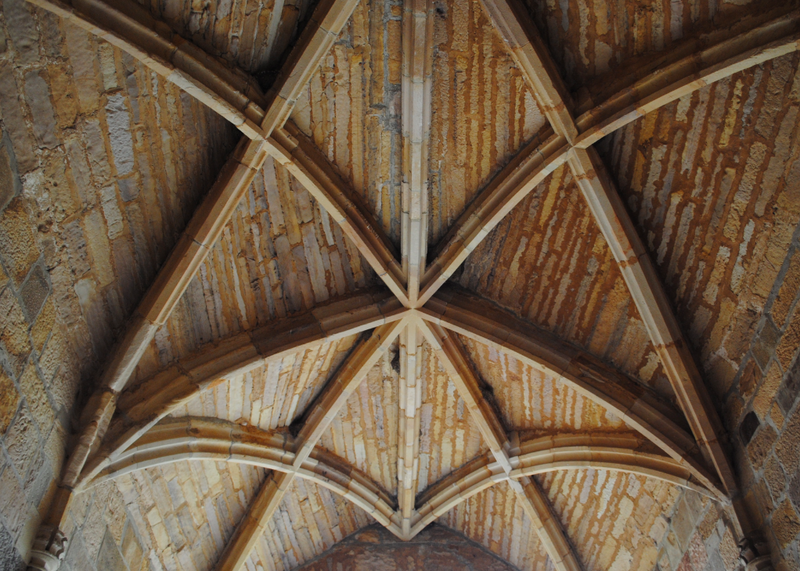 Defended by machicolations above, the Gateway also had a portcullis and features delicate Lierne vaulting (above). 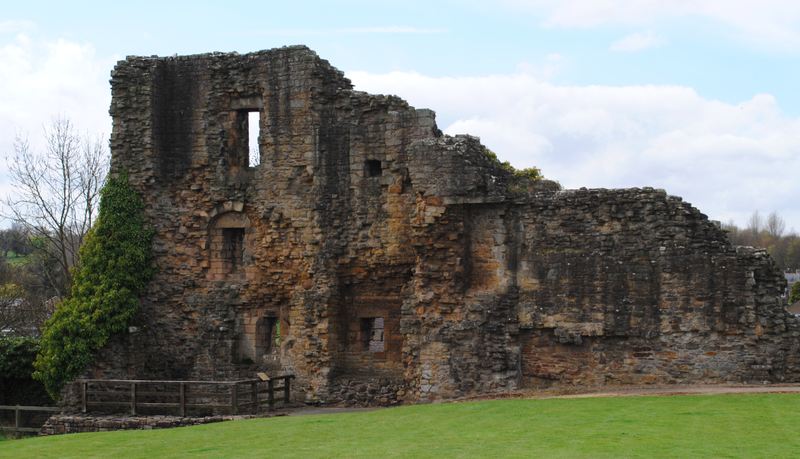 Although Raby is a defended home rather than a fortress, it has seen action in battle, notably during the Civil War. It was beseiged in 1648 when it was held by Sir George Vane for the Parliamentary forces but suffered little damage. Sir Henry repaired Raby and carried out various building works but it was not until the 18th century that the first major alterations were made to the medieval structure. The 1st Lord Barnard partly dismantled the castle early in the 18th century but Henry, son of the 2nd Lord Barnard, later began a programme of restoration. The interior of the south and west ranges underwent the greatest changes under the guidance of the architect James Paine. In 1768, the 2nd Earl of Darlington engaged the architect John Carr to carry out improvements both inside and outside the castle. A carriageway through the entrance hall was constructed at this time and a round tower was built on the south front to replace one that had burnt down earlier in the century. By the end of the 18th century, the castle and its setting were considerably altered with the moat drained, the park landscaped, the high and low ponds excavated and the stables and ancillary buildings constructed. In 1843, the 2nd Duke of Cleveland started the third major period of rebuilding by inviting the architect William Burn to work on the castle. The castle has remained little altered since the late 19th century. 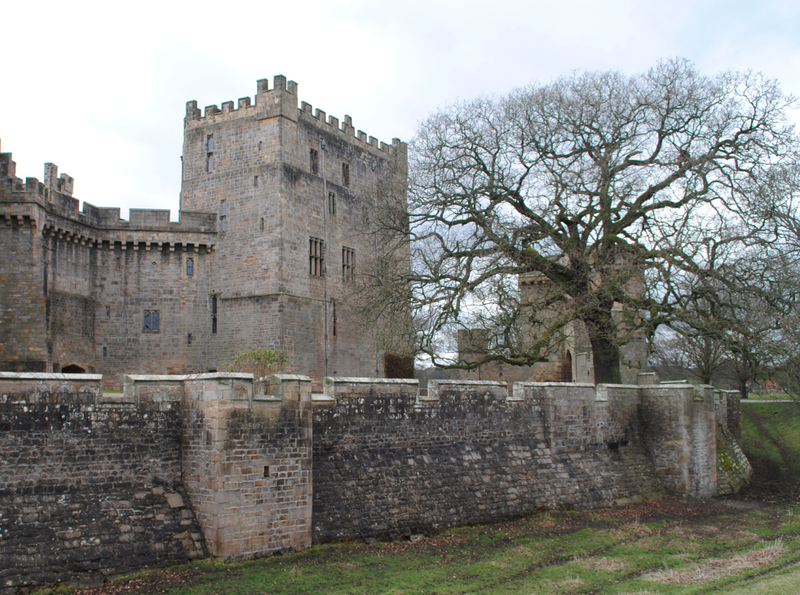 Raby Castle is Grade I Listed. 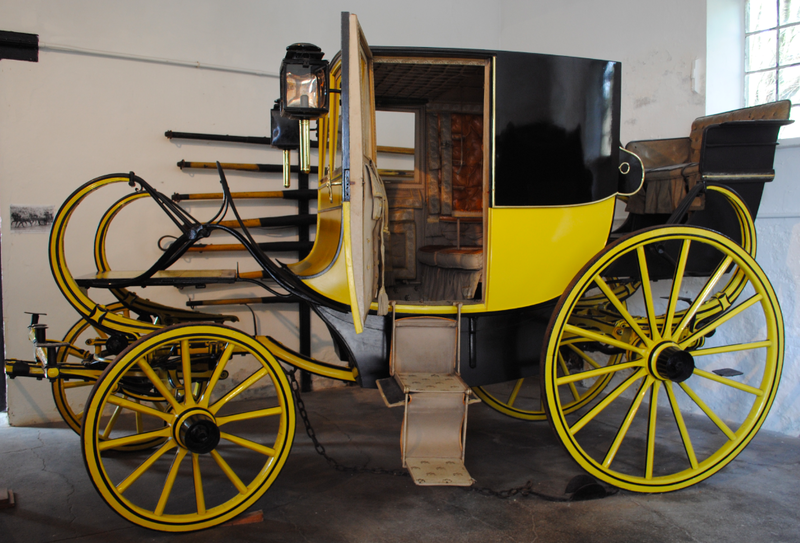 The above travelling chariot dates to around 1810-1820 and was built by Coates Blizzard of Park Lane, London. 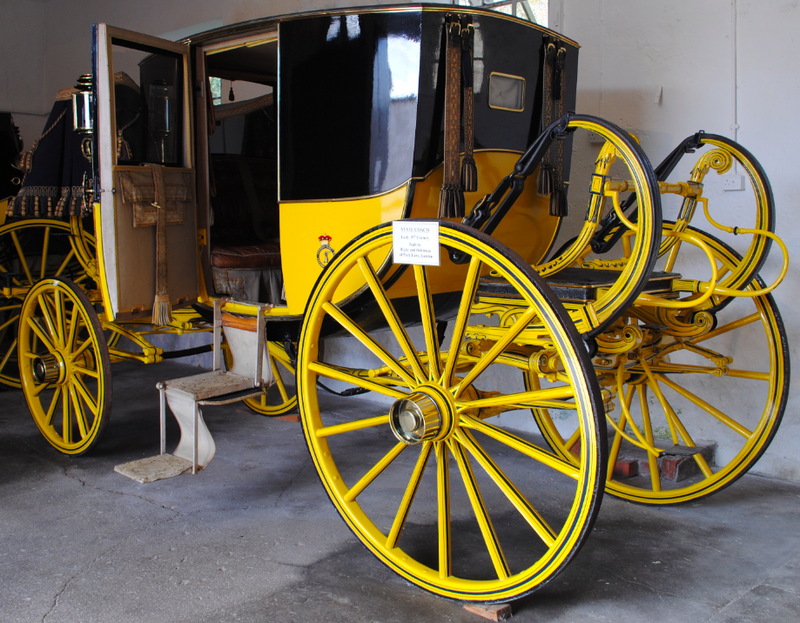 This chariot would have been drawn by a pair of matching Cleveland Bay horses and the platform above the front wheels would be used for overnight luggage. Ash was used for the majority of the structure of the chariot as it is extremely flexible and workable. The wheel stokes are made of sturdy oak and the panelling is mahogany. The wheels are designed slightly concave and are two degrees off straight for stability and strength. The steelwork would be made from a single bar which was heated to the required colour and then held in tongs by a blacksmith and hammered by two strikers until the desired result was achieved. 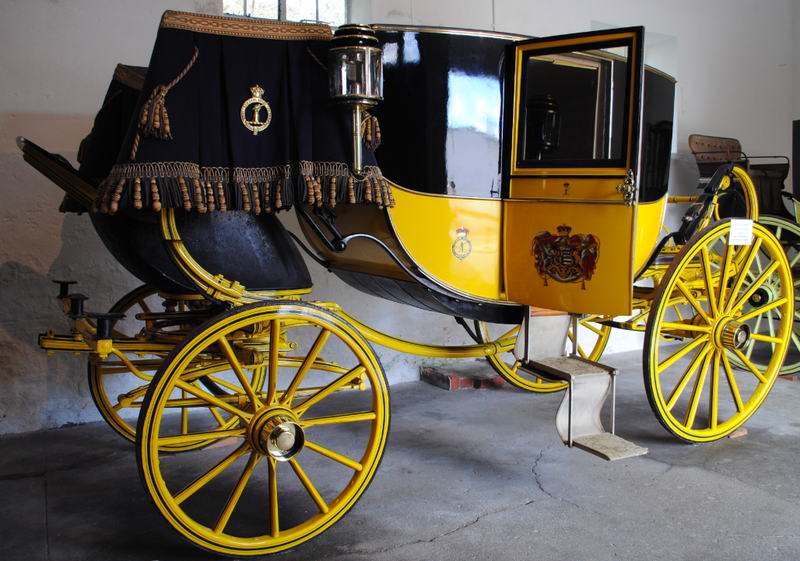 The upholstery of such carriages was usually hand made and bespoke. 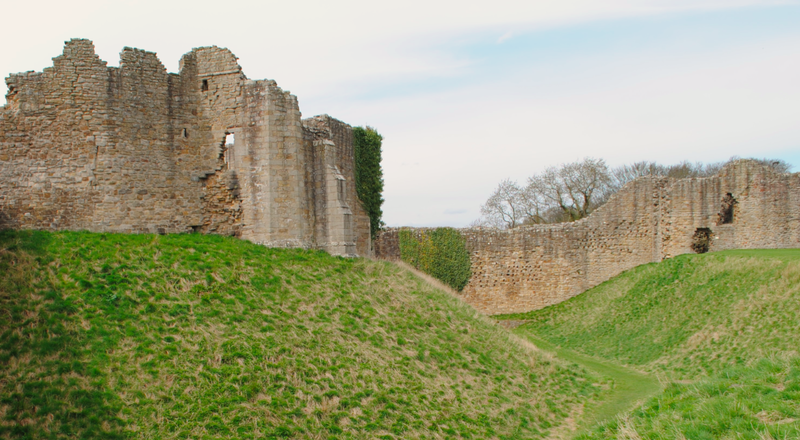 Commanding a strategic point overlooking the River Tees are the remains of Barnard Castle. 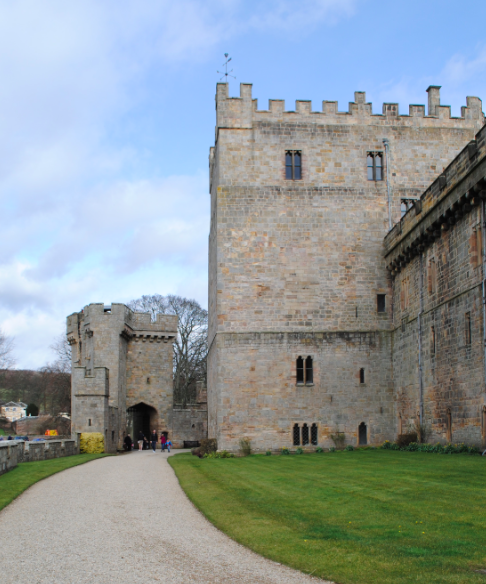 The castle was the principle stronghold of the Baliol family who founded the town at its gates and turned the castle into one of the largest fortresses in northern England. 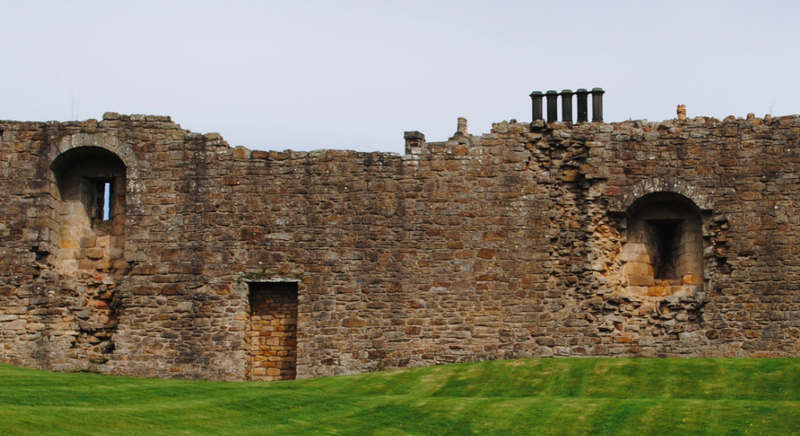 The land on which the castle was built had been given to the Church in the ninth century but was forcibly taken by the Earls of Northumberland by the eleventh century. The land reverted back to the Crown at the end of the eleventh century after William II crushed a rebellion by the Earl. In 1095, the king granted the land to Guy de Baliol who was a loyal supporter from Picardy in north eastern France. 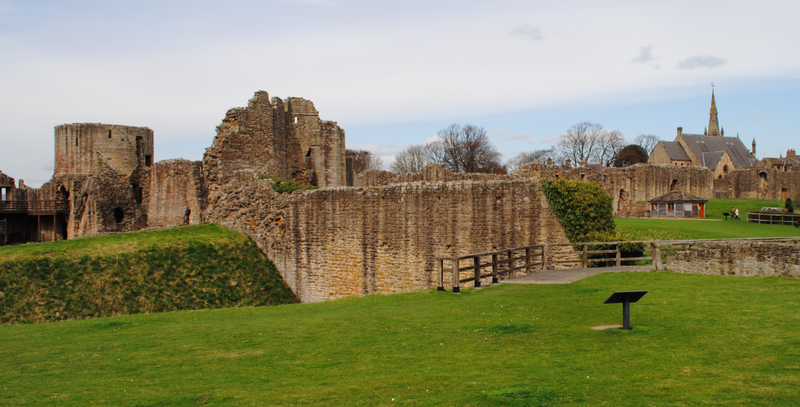 The foundations of Barnard Castle date from the twelfth century when Guy de Baliol built a timber castle here. The site was chosen specifically as it was naturally defended on two sides by steep cliffs and the River Tees and to the north of the site, there was a road and a ford laid out by the Romans. The castle includes an early twelfth century ringwork which was a medieval fortification comprising of a small defended area which was surrounded by a substantial ditch. Acting as strongholds for military operations, ringworks in some cases defended aristocratic or manorial settlements. Guy de Baliol held the lands around Barnard Castle for thirty years and was succeeded by his nephew Bernard de Baliol in 1125. 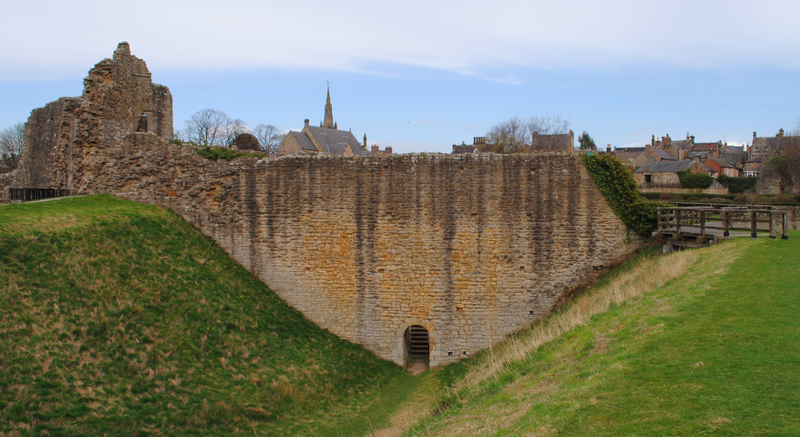 Together with his son, Bernard turned the castle into a major fortress by rebuilding in stone and enlarging the site. 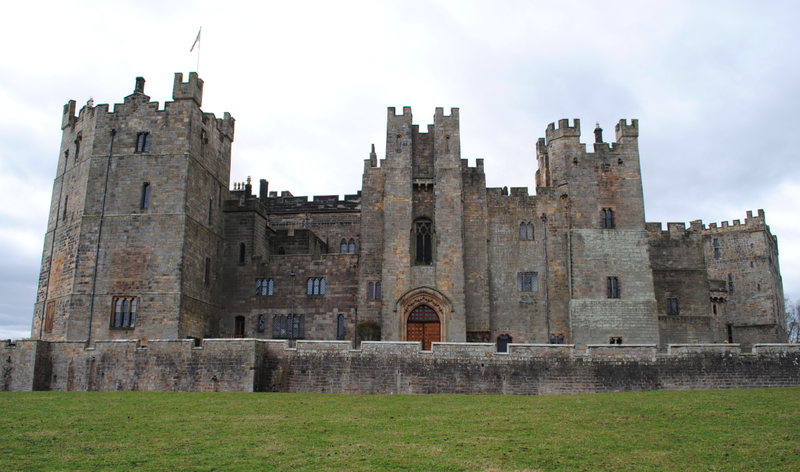 By the early thirteenth century the family fell into financial difficulties and in about 1190, Bishop Pudsey of Durham held the castle in security for a loan made to Eustace de Helicourt, a member of a local tenant family, who inherited the estate in 1199. The castle was returned to the family around 1212 when King John ordered the castle to be returned to Eustace’s son Hugh. The king granted the lordship to Guy de Beauchamp, Earl of Warwick, in 1307 but as the Beauchamps main interests were in the Midlands, the castle was used mostly as a source of revenue with the outer wards largely abandoned making the castle smaller and cheaper to run. The bishops tried once again to recover possession of the castle in 1471 however, the lordship passed to Richard, the Duke of Gloucester. In 1483, Richard became king and although he made alterations and had plans for the castle, most were never realised because of his early death at Bosworth Field in 1485. The castle remained in royal hands until 1603 during which time the castle went into decline despite requests for money to pay for repairs. In 1603 James I gave the castle to Robert Carr, Earl of Somerset. The estate was transferred to the Prince of Wales in 1615 following the disgrace of Somerset and was subsequently sold to the City of London in 1626. Sold to Sir Henry Vane in 1630, the castle was dismantled to provide materials for an extensive rebuilding programme at his main residence at Raby Castle. Lord Barnard of Raby became the eventual owner of the estate and in 1952, he placed the Inner, Middle and Town wards in the guardianship of the Ministry of Works. 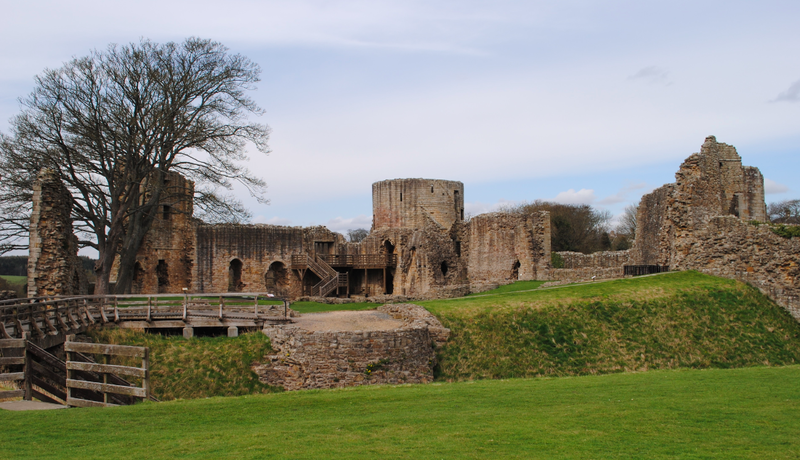 The ruins of Barnard Castle are Grade I Listed and a Scheduled Ancient Monument.